Defence Secretary Chuck Hagel is resigning, The New York Times reported on Monday. A senior administration official subsequently confirmed to Business Insider that Hagel would resign. They said Hagel would announce his decision alongside the president at 11:10 a.m.
“A successor will be named in short order, but Secretary Hagel will remain as Defence Secretary until his replacement is confirmed by the United States Senate,” the official said. 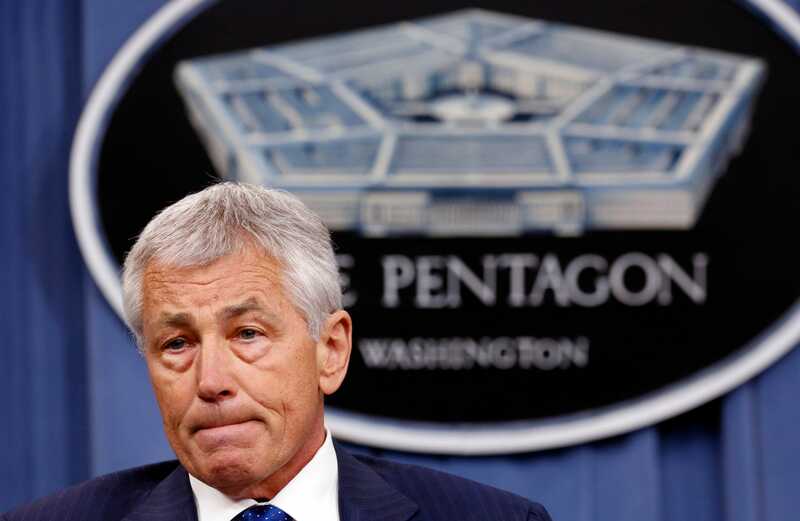 The official characterised Hagel’s decision to step down as normal administration turnover in the wake of the midterm elections earlier this month. “In October, Secretary Hagel began speaking with the President about departing the Administration given the natural post-midterms transition time. Those conversations have been ongoing for several weeks,” said the official. The Times characterised Hagel’s resignation as a response to criticism of the Obama administration’s handling of several major recent global threats. “His removal appears to be an effort by the White House to show that it is sensitive to critics who have pointed to stumbles in the government’s early response to several national security issues, including the Ebola crisis and the threat posed by the Islamic State,” the Times reported. “He wasn’t up to the job,” they said. The US-led fight against the jihadist group Islamic State (also known as ISIS or ISIL) has been hampered by corruption in the Iraqi military and a lack of coherent US strategy in Syria that has hobbled the large international coalition that joined the effort. However, the administration official who spoke to Business Insider praised Hagel’s leadership at the Department of Defence. Hagel, who is from Nebraska and earned two Purple Hearts serving in the Vietnam War, represented his home state in the U.S. Senate from 1997 until 2009 as a member of the Republican Party. He took his Senate seat after scoring a major upset victory against Ben Nelson, a Democrat who was the sitting governor of Nebraska. With his victory, Hagel became the state’s first Republican senator in 24 years. Despite his membership in the GOP, during his time in the Senate, Hagel was an outspoken critic of Republican President George W. Bush’s handling of the Iraq War. In the leadup to the war, Hagel, who was an advocate of a cooperative foreign policy, was adamant it would be a mistake for America to act alone against the regime of then-Iraqi President Saddam Hussein. “I think it would be wrong, very shortsighted, and very dangerous for the United States to unilaterally move on Iraq,” said Hagel at the time.